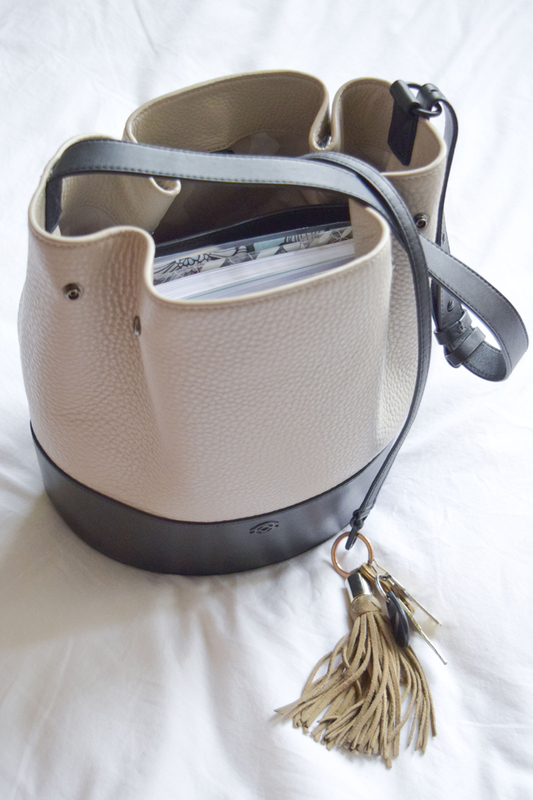 Last month I got this gorgeous Dagne Dover Ava Bucket Bag for New York Fashion Week. I wanted something practical that would look good with everything and I could carry later on. I've always wanted a bag in this shape and loved the two-tone leather. 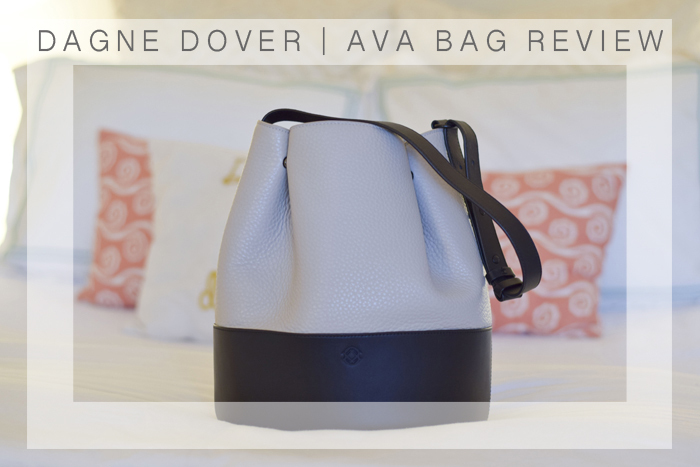 Dagne Dover bags are known for their quality materials and great organizational pockets on the inside - perfect to help keep a girl-on-the-go keep everything in its place and not lose something (hotel key, lipstick, business card, etc.). I've now carried this bag all over NYC and all over DC! To NYFW and then back home to work. It's held up wonderfully and I love how smart and sophisticated it is paired with a fun, youthful shape! The snaps allow me to open it up if I can't fit something in there and then close it easily to make it more structured. I love the lanyard that hooks to your keys so you never have to dig around. 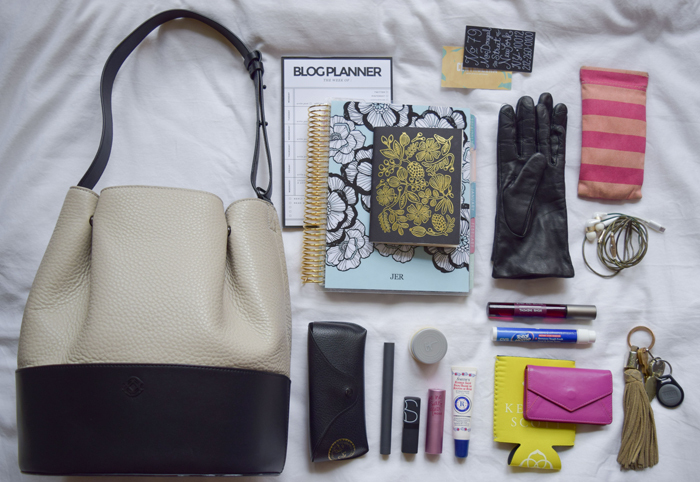 All of the pockets on the center piece make my must-haves right at my finger tips: cell phone, wallet, lipstick, and pen. This is particularly helpful when I'm getting on the bus and have to swipe my metro card because it's right there and then I can slide it back in place when I take my seat (this is a big A+ for a city commuter like me)! 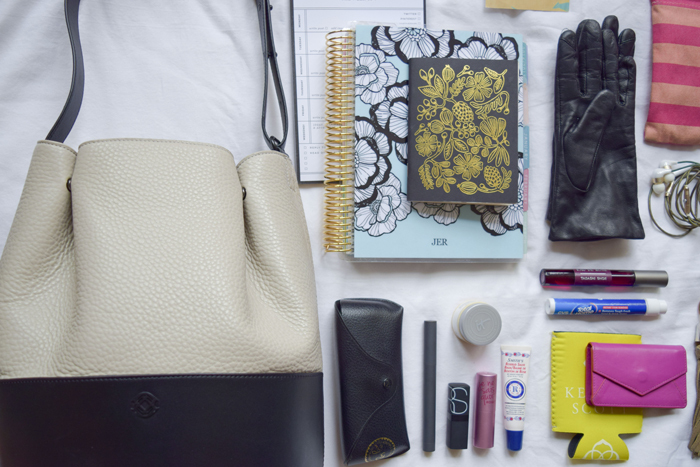 Everything above is what I normally pack in my day-to-day bag. Sunglasses, reading glasses, business cards, lipsticks, perfume (from the Tadashi show! ), spot cleaner, gum, etc... Basically, it packs a whole lot in there! I even carried my tennis shoes around during NYFW to change into between shows - I was not about to let all that nasty snow ruin another pair of suede shoes. Ugh. I guess the only thing not pictured are all of my snacks ;) I always have almonds and gummy bears on me. I'm always hungry so it was especially important while running around in NYC to have something quick to munch on if I was headed to a show! 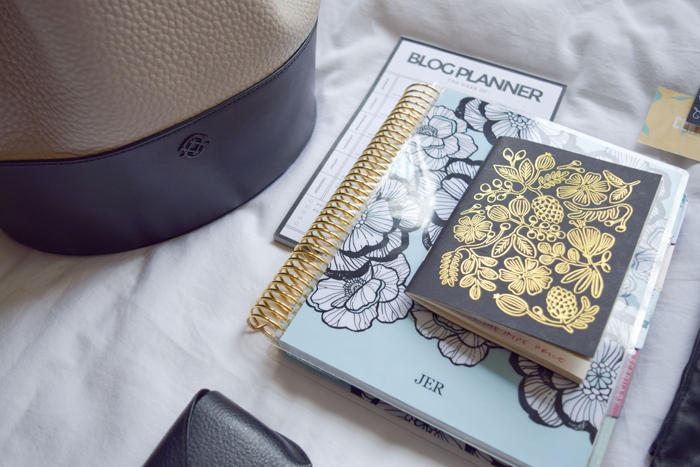 This is my third Dagne Dover purse and I can't recommend it enough! Read my first review here. Do you have a Dagne Dover purse? Let me know if you have any questions - I'm happy to answer them! 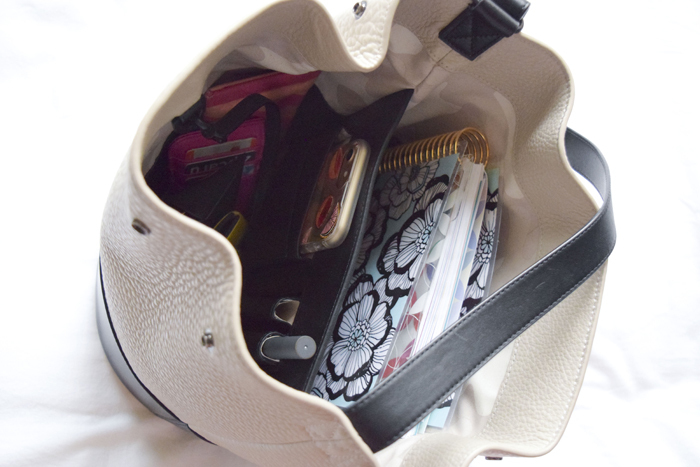 Whenever you find a bag that fits everything inside - it's a winner! 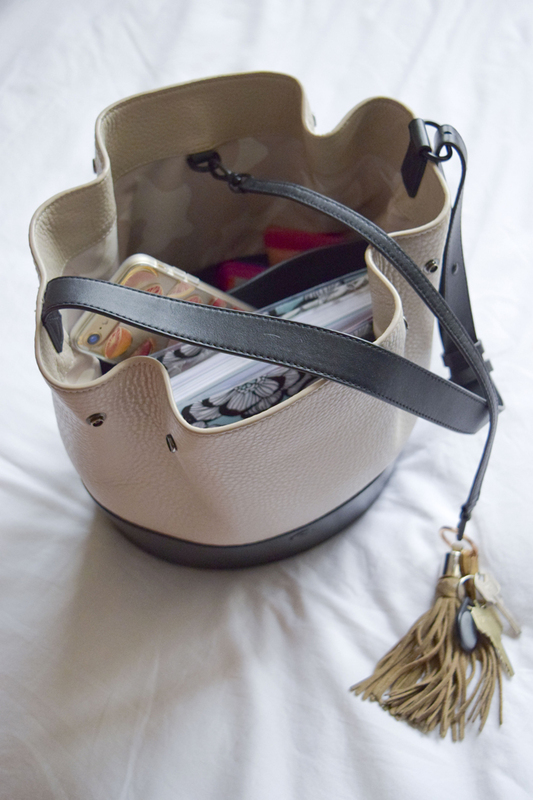 Gorgeous bucket bag!